Canada is making significant steps forward when it comes to the blockchain industry. The North American nation is the best when it comes to driving innovation, entrepreneurship and digital economy. Not only this but “Canada is well positioned to be a global leader in the burgeoning blockchain economy”, said Don Tapscott, executive chairman of the Blockchain Research Institute. All are fueled by its favorable regulatory regime, low energy costs, innovation, and high internet speed. 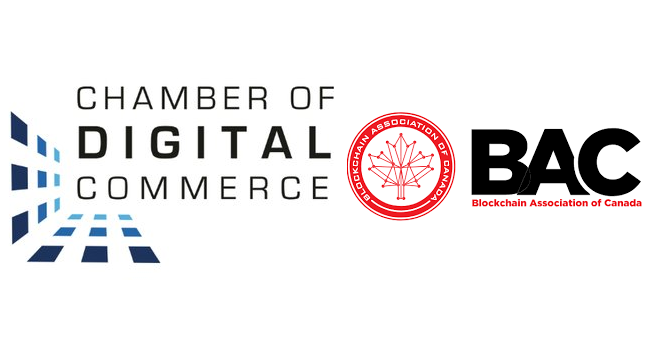 An important press release was published on Feb. 5 by the Chamber of Digital Commerce announcing their merger with the Blockchain Association of Canada (BAC). The two will be now known as the Chamber of Digital Commerce Canada. The Chamber of Digital Commerce was born in July 2014 seeing a more than 100 percent growth in the last four years. Now, the Chamber represents over 200 companies that are invested in the blockchain technology with members like Microsoft, Overstock, Bitpay, and IBM. Tanya Woods – former executive director of the BAC and a world-class legal and policy strategist will now serve as the managing director of the Chamber of Digital Commerce Canada. Woods has previously worked for companies like BCE, Microsoft, and Nintendo. “Bringing our two organizations under the same banner sends a powerful message to our respective members, blockchain ecosystem participants, and policymakers,” said Perianne Boring, founder, and president of the Chamber of Digital Commerce. This means only good things are coming in the North American Nation as far as the blockchain industry and technology is involved. Canadian citizens are more and more opened to this new trend and seek to take advantage of it. The cool thing is that everyone that wants to be part of it can and should. Whether you want to invest in some coins, which can be done by simply registering an account at BitCanuck or you want to implement the blockchain tech in your projects, it is easy to be part of this new world that promises great things.